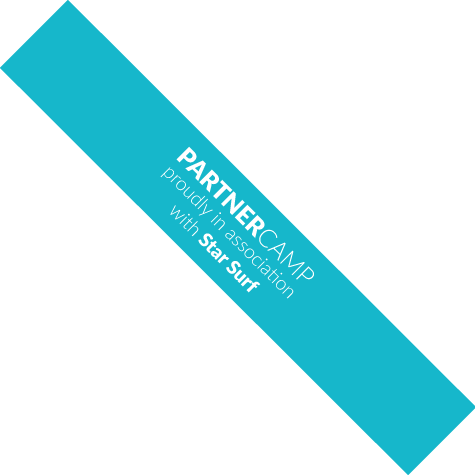 StarSurfCamps - Surf Resort Holidays in the Mentawai Islands! 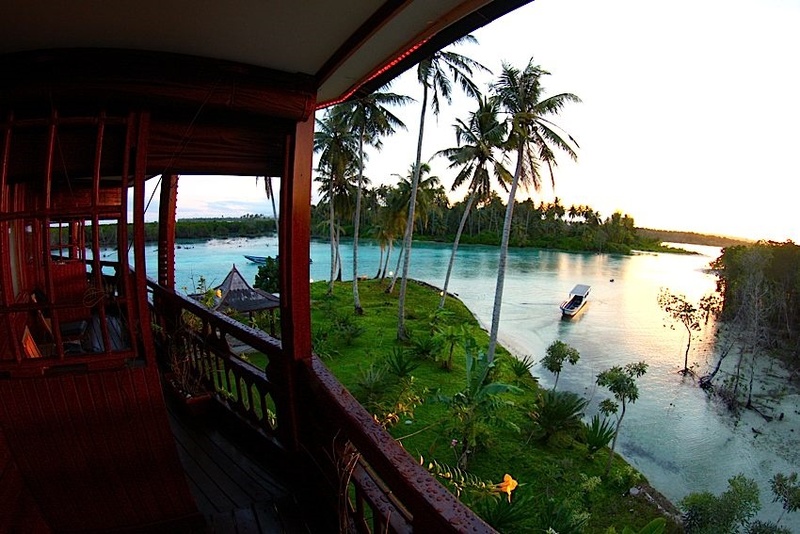 Surf Resort Holidays in the Mentawai Islands! If perfect waves, crystal clear water, picture-perfect beaches, luxurious accommodation, incredible food and a first-class service in paradise is what you’re looking for, then look no further! 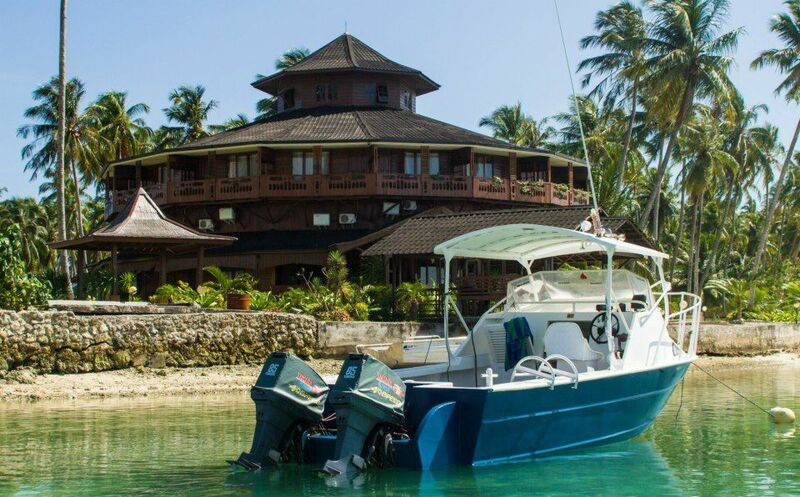 Our beautiful partner resort in the Mentawais offers you amazing surf resort holidays with unlimited speed boat trips to world-class waves suited to your ability. Join us in our world-famous and luxurious surf resort on your own, with your significant other or whole family, indulge in our delicious resort cuisine three times a day, surf the best waves, revitalize your mind during Yoga sessions, go on exciting SUP safaris or snorkelling adventures and simply let this tropical island paradise take your breath away! The Mentawais are an Indonesian archipelago in the Indian Ocean, a few miles off Sumatra’s West coast, consisting of about seventy islands and hundreds of waves. 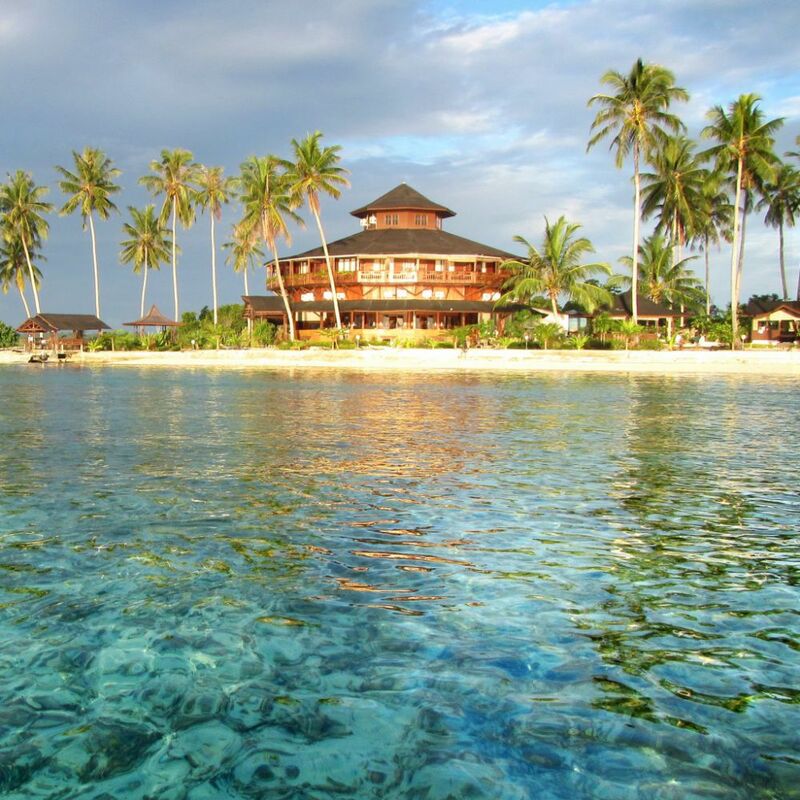 Our picture-perfect partner resort is situated on Siniai Island, only a stone’s throw away from the stunning coast of North Pagai Island, an island in the southern region of the Mentawais. Your Surf Resort Holidays in the Mentawai Islands! Renowned for first-class waves and regularly frequented by the world’s top surfers, the Mentawais guarantee you a surf trip of a lifetime! If there’s anywhere in the world where you can participate in a sport together with the world’s best, it’s here! Our island resort is in striking distance to a selection of amazing surf spots and, with our unlimited speed boat transfers, we find perfect waves for all levels of surfers, beginners, intermediates and advanced, every day! And there’s more: If you’re not chasing barrels, relax on your spacious resort suites’ sun terraces or by the large pool area, enjoy a massage in our in-house Spa, indulge in our tasty cuisine of local and Western foods, grab one of our SUPs to embark on an exciting Stand Up Paddle board safari, snorkel and fin up for a stunning exploring of an amazing underwater world, strengthen your body during one of our Yoga sessions or simply explore the surrounding islands and beaches! Here on the Mentawais, we’ve got everything your heart desires! Newly refurbished and modernized in 2011, our beautiful partner resort offers you an incredibly beautiful home away from home! Enjoy your time with us in one of 16 carefully decorated guest suites, with either a Queen-size bed or two twin beds. All our spacious suites have their own large sun terrace with outdoor seating facilities, fold-out sun protection and offer stunning views over the azure lagoon, the palm tree-surrounded pool area or the seemingly never-ending ocean, perfect to enjoy a sunset drink after a long day playing in the waves! Besides spectacular views, our gorgeous Mentawai resort suites all come with in-room free Wi-Fi, an en-suite bathroom and hot water, have air conditioning, clothes storage, a small work desk and are equipped with a DVD player and a 32” flat screen TV which shows international channels, sports and is also broadcasting our in-house, life surf channel. We service your suites daily to supply you with clean towels. All our gorgeous suits are on the first floor of the resort, elevated to ensure even better views, more sunlight and that you can feel that unique sea breeze of the Indian Ocean! When modernizing the resort, great care has been taken when insulating floors, walls, and ceilings to keep our rooms as cool and quiet as possible to maximize your comfort! 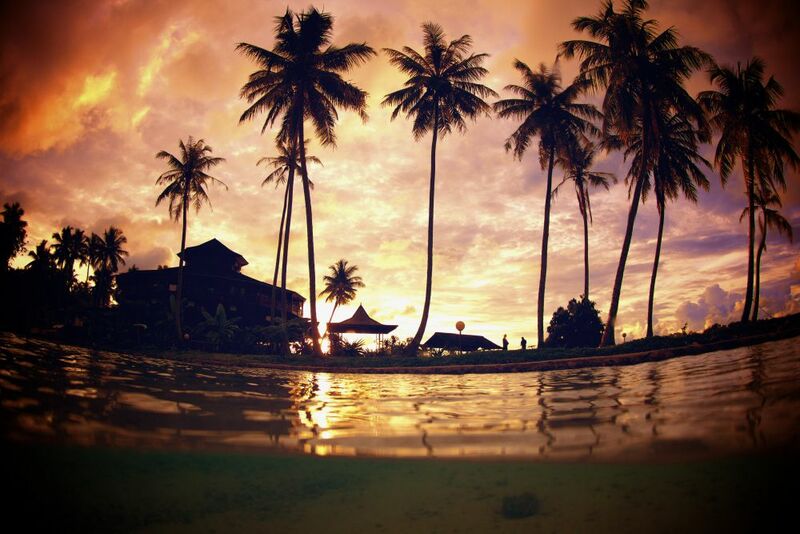 There’s simply no Place like the Mentawais! There are only a handful of surf resorts and surf camps that have as many world-class waves in such close vicinity as our Mentawais resort while still offering quality accommodation and luxuries. Here, both beginner surfers as well as aspiring pros can enjoy empty line-ups literally breaking right on our doorstep! Especially for the more experienced surfers, this place is nothing short of utopia: lefts, rights, barrels, rippable walls, exotic locations and highly experienced surf guides dedicated to getting you the waves of your lifetime! Our Mentawais surf holiday trip is pretty much a no-brainer if you’re looking for an all-inclusive getaway with your priorities set on surfing amazing waves. pumps with the most consistent swell directions. On top of that, it’s one of those rare waves that seem to be just as good even if there’s a little onshore breeze blowing. The wave works from 2 ft. up to 10ft.+, and the consistency and quality of this wave will make it difficult to justify surfing anywhere else, even if you’re on your backhand. Another feature that makes our resort so magical is that there are a limited number of moorings in the lagoon for the charter boats to anchor into, meaning after 2 boats park up, the others are forced to find shelter elsewhere and this can help to diffuse the crowds. Wow! If you’ve ever seen a surf movie that involves surfing in the Mentawais region, you can guarantee there is some mind-blowing footage of this wave. Once again breaking left, this wave provides a very square, thick barrel running through 3 sections before a shallow section of reef. It’s definitely one of the best barreling waves in Indonesia and, once again, set in a beautiful location. Greenbush breaks best on a higher tide and with at least a 3 ft.
swell. If you haven’t scored an epic tube during your time in the Mentawais, you need to set all compasses to Greenbush and make sure you smile for the photographer in the channel. great window to score some glassy peeling waves with no crowds. Tip: Check to see the conditions at Macaronis; if there’s a 3 ft. wave breaking there, then Silabu will be working its magic, too! Mini Macas is similar to Silabu Left in terms of being a great option for those who want to build up some confidence, paddle fitness and escape the crowds. The best thing is that this wave literally rolls off from the end of the main Macaronis wave, so you can jump on the boat to gauge the set-up and have a look to see what best suits your ability. With a deep channel to paddle around and the main wave acting as an indicator to see when sets roll through, this may be one of the best places in the world to improve your surfing and build up confidence. Tip: Mini Macas is a great wave for couples or bigger groups that want to enjoy surfing together, yet have different surfing abilities. and escape crowds. Tip: Ask the locals or your surf guides about the wave when “it’s on”, and you’ll certainly be keeping your eye on it for the rest of your trip, especially if you’re a regular stance surfer. This wave is more of a full day’s adventure than a quick surf session as its surroundings and stunning location have so much to offer! Again, Bat Caves is ideal for couples and larger groups with different surf levels who want to enjoy being in a remote paradise with cliff jumping, snorkeling, fishing and picnicking on tiny sand islands among turquoise waters. The wave itself is a swell magnet making it the place to go between big swells and breaks, similar to a point break with long walls and a few fast sections, even throwing an occasional barrel for the lucky visitor. Once again, you’re likely to be escaping crowds with a trip to Bat Caves. If you have the surf experience and like to charge advanced waves away from crowds, then keep an eye on the forecast and Rags Left in mind. Ask your surf guide before you go as it needs a few different conditions to come together. However, if you get the right mix, you and your friends may be pulling into some amazing barrels right off the take-off to then surf a long peeling wall that runs for another 100m+. This wave can still hold a size of about triple overhead and is yet again another very photogenic wave to shoot. Paddle in, take off, hold the line and get barreled off your face from start to finish. This is one of those waves where you don’t even think of doing any turns just lock into that tunnel vision and try negotiating your way out before the end section. Certainly a more experienced surfer’s wave! sections running across the island. The island, by the way, is again beautiful and well-worth exploring. The reef is vibrant and the scenery seems to rub off on surfers making for a relaxed atmosphere. Another very consistent wave in the area is Roxies, a right-hander that’s often compared to Macaronis’ main break and it’s only a short boat ride away. The wave breaks even when the swell is small and becomes a fast barrel as the swell picks up. If you’ve been surfing left-handers your whole stay and are itching to switch it up, head to Roxies and you won’t be disappointed. Another fickle but when it’s on, it’s epic! Due to the nature of this wave, you best consulting with your highly experienced surf guides first to arrange a trip when the wave is working. A high level of experience is needed as Rednut is a hollow barrel with a very raw open ocean feel to it. Fish Fingers is the perfect wave when you’re learning to surf. It’s located right across the channel from the resort with a soft sandy bottom and a gentle little wave. Almost as if it was man-made, Fish Fingers offers a perfect small peak that peels mostly right but has a little left, too. At Fish Fingers, you can learn to surf or teach the kids with a selection of soft-top learner boards available to use free of charge (for use at Fish Fingers only). Learning surfers who have built up their confidence can also try out Silabu Left and Mini Macas. Making the resort a great trip for couples and groups where the surfing ability may vary. After a long day of catching waves, there’s nothing better that a delicious and heathy meal! 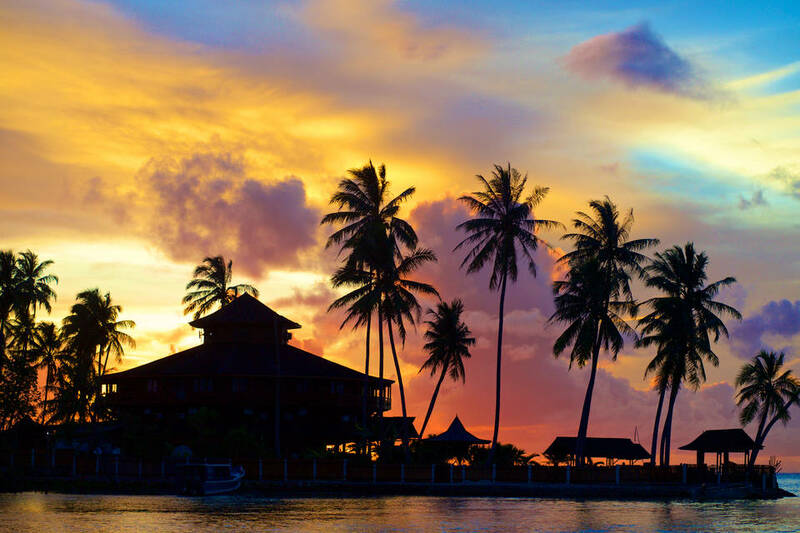 Here on the Mentawais, you can indulge in a tasty variation of both local and Western foods – three times a day! Your daily meals include a choice of two breakfasts, a hearty lunch and a choice between a wonderful 3-course dinner or a lovely dinner buffet. Drinks, such as coffee, tea and different juices, as well as delicious snacks and bakes goods are available all day – and all free, of course! Meals are served in the resort’s Bar & Restaurant located on the ground level. And with both an indoor and outdoor eating are, enjoy the end of your day in paradise with the sun setting over an endless ocean! Our chefs here also happily accommodate all food allergies and prepare meals in accordance with vegetarian, gluten-free, vegan and other dietary requirements. We love breakfasts here on the Mentawais! It’s the most important meal of the day. Therefore, and to accommodate both the early birds and late risers among us, we offer two choices of breakfast for you each day! Between 6am – 11am, we serve you coffee, tea and juices as well as a variation of cereals, toast, spreads and fresh fruit. And between 7:30am – 10am, we have different hot, à la carte menus available for you. Choose from bacon, eggs of any style, a variety of pancakes and omelettes, different Indonesian classics, French toast and other delicious treats. So don’t worry if you’re out and about for a dawny. Grab a banana and a sweet treat at 6 and be back for more after a great surf! For your lunches and dinners, our private chefs prepare daily fresh foods with excellence, taking great care when sourcing locally and internationally to provide you with the highest quality for your dining experience! Our chefs prepare their meals from first-class imported meats and vegetables and local seafood. Choose from different Indonesian as well as Western dishes which include hot foods, such as soups and curries, pastas, pizzas and steaks, mussels, prawn and clam as well as Tuna and many vegetable dishes, or cold plates, such as salads and incredible desserts. Desserts are served both after lunch and dinner, and you can choose from different cakes and biscuits, fruit crumbles, muffins, fresh fruits and more – simply to die for, we assure you! Of course, all meals are freshly prepared for you each day. To accommodate all of our guests, tasty gluten-free and vegan options are always available. Just like with our guest arrivals, our food is only delivered twice a week to our lovely, remote island resort. Therefore, we have set menus and food schedules. However, we do, of course, try to accommodate our guest as best as we can. So if nothing on the menu takes your fancy, let us know and we change it. Also, if you’re out surfing during lunch, no worries! We’ll prepare something for you once you’re back and ready. A variety of coffees, teas and different fruit juices is available every time during the day. In our well-stocked resort bar, you’ll find everything your heart desires! We serve everything from exotic blends and cocktails to delicious imported Australian wines, different liquors, beers and coffees. And if you long for your favourite drink not on our menu, just ask one of our competent bar staff who are always willing to learn new recipes! There’s More than Just Amazing Waves for Surfing! In and around our lovely island resort, there is plenty more for you to do: We have all sorts of sports and recreational equipment at hand for you to make the most of your time in paradise! So how about you grab one of our SUPs and embark on an exciting Stand Up Paddle board safari along the beautiful island coast? Or how about a snorkeling adventure exploring the colourful underwater world of our stunning lagoon? We’ve also got kayaks, fishing equipment and beach games with which your time with us will simply fly by! Our packages also include speed boat trips to the nearby village, to go snorkeling or fishing or simply to explore one of many white beaches and azure lagoons close by. We further organize trips to go cliff jumping and do mangrove tours. We also have local guides at hand who happily offer their knowledge and experience should you wish for some advice on the location for a day trip. Besides all this, we also offer revitalizing Yoga session, have a large swimming pool with sun loungers for you to relax in, Ping Pong & billiard facilities and a beautiful Siniai Spa area for rejuvenating massages from our private, in-house massage therapist. Pick-up in Sikakap Port, Mentawai and speed boat transfer to resort (ca. 1.5hs) – Arrival at resort: 9 am. Also included are all port handling and fees for luggage and board bags as well as an evening meal, a water bottle and a private, air-conditioned sleeping cabin on board the overnight ferry. Ferries run twice a week from Ambu Ambu to Sikakap, Tuesdays and Saturdays. In order to make the ferry at 5 pm, we advise you not to get to PDG Airport later than 2 pm. 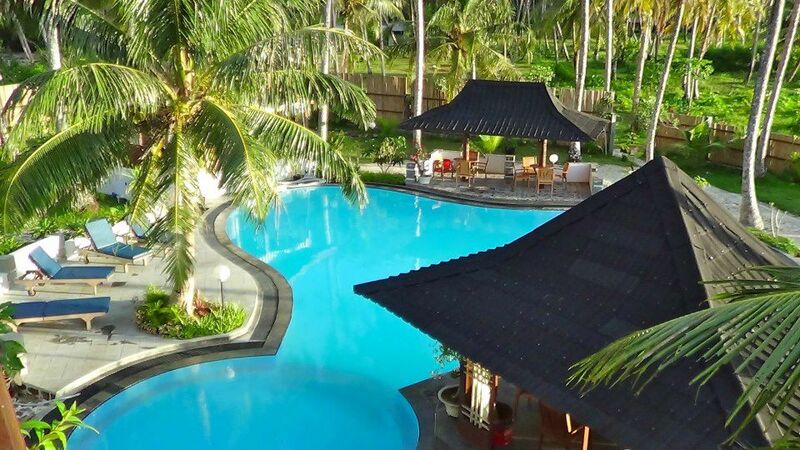 All early arrivals are accommodated at a hotel in Padang and can spend their morning relaxing by the pool. Flights to PDG Airport are run by Air Asia, Garuda Airlines or Lion Air. If you need help booking your Indonesian domestic flights, please contact one of our surf travel experts for assistance. In order to get to PDG Airport, your international flight should arrive either at Soekarno-Hatta International Airport (CGK) in Jakarta, Indonesia or at Kuala Lumpur International Airport (KUL) in Kuala Lumpur, Malaysia. What to Take to Your Paradise Getaway! To ensure your safety during your stay with us, it is mandatory for all guests to have travel insurance which covers surfing and includes a Medical Evacuation Coverage. We ask you to bring your insurance details along with you on your surf trip including your printed insurance certificate. First thing upon your arrival will be to pay for your Visa to Indonesia. This is not included in your surf package. Make sure to bring US $35 (or the equivalent in a different currency) along with you in cash to pay the Visa fee. 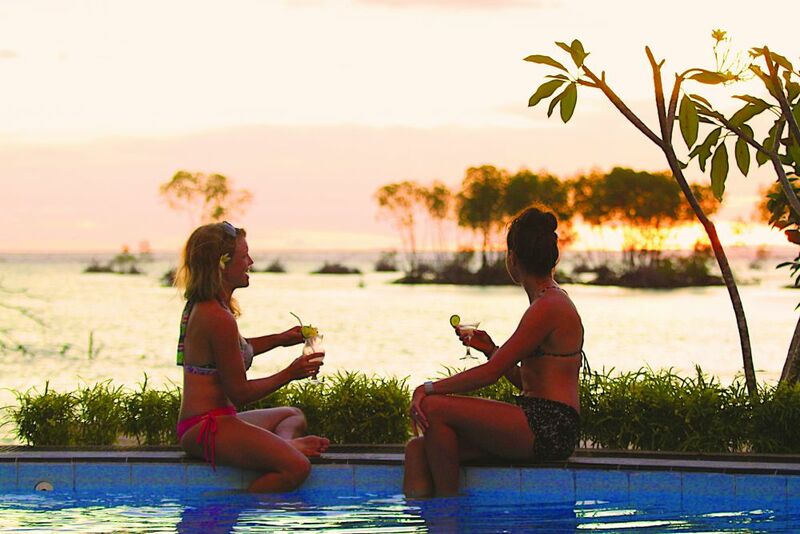 You’ve got Questions about your Surf Resort Holidays? Contact our Surf Travel Experts!